This lunchtime I went for a nice walk down to Holland Park with Cat. 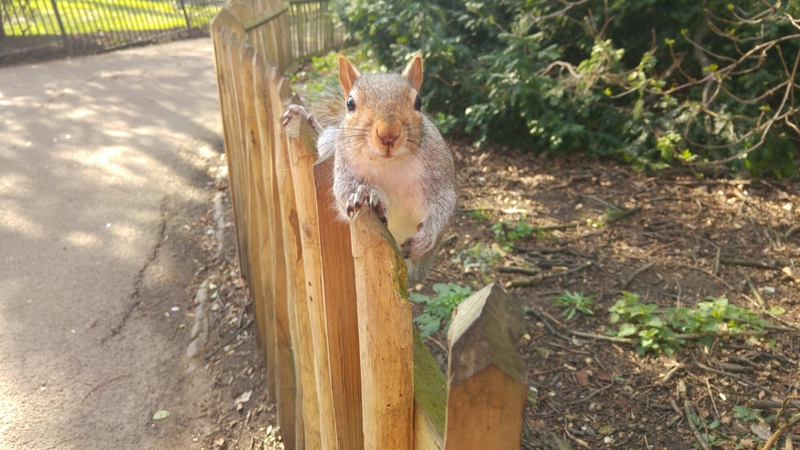 We found the squirrels to be extremely friendly..! We also counted about six peacocks, all in all a delightful break from our computers. In fitness news I’m SO close to beating my PB for the most amount of miles cycled in a month EVER! I’m up to 60miles for this week, but need to ride about 40 or so more to beat it, so it’s totally within my reach, fingers crossed! 25/02/16 – Good Morning London!